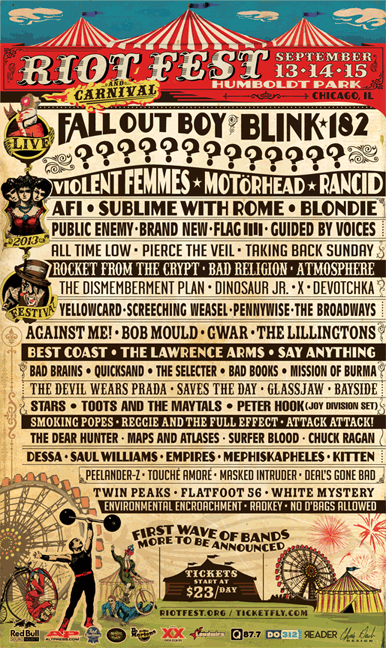 Riot Fest have revealed that the 2013 lineup of the Chicago festival and carnival is set to include acts both old and new that will come together for the “punk rock state fair,” including: Fall Out Boy, Blink-182, Rancid, Blondie, AFI, Brand New, Pierce The Veil, Bad Religion The Devil Wears Prada, All Time Low, Taking Back Sunday, Say Anything, and many more. The bill also features reunion sets Rocket From The Cypt, the Lillingtons, Quicksand and the Broadways. View the full line-up with more acts to-be-announced, below. 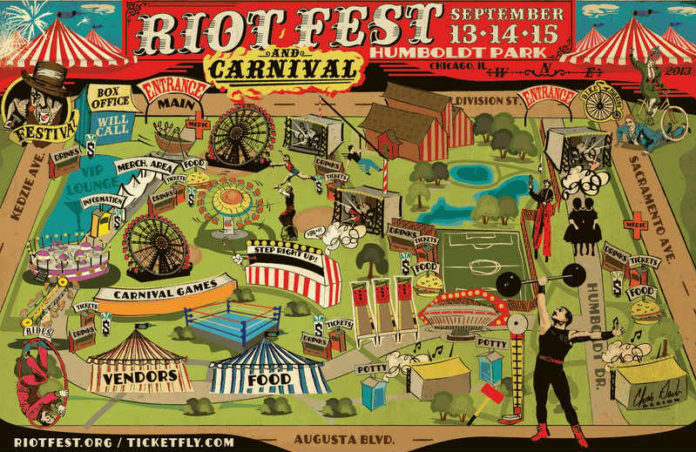 Riot Fest takes place September 13-15 at Humboldt Park in Chicago, IL. 3-Day Passes are on sale now, starting at $23 per day in limited quantities. We're also partnering with the fest to offer fans a discounted one-year subscription to their Riot Fest ticket order. You can find more information at riotfest.org.